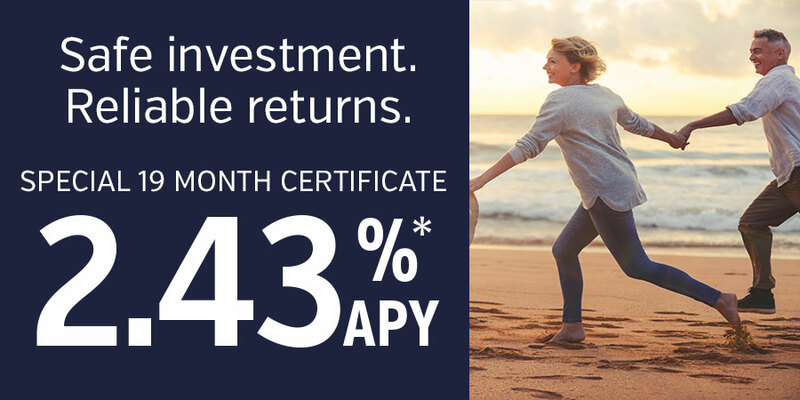 Use your Certificate to stash your cash and earn higher interest in return. Dividends can also be deposited monthly to your checking account for use on daily expenses. Check our rates below or contact us with your instructions to open a new Certificate account.